Authorities in South Sudan have expelled Ugandans doing petty jobs in this newly formed nation. Over 1600 Ugandan youth, hitherto riding boda-bodas (commercial motorcycles) were banished from Juba and other towns in South Sudan. Market vendors are next on the list of those that the authorities in our northern neighbouring country intend to show the exit. For some time now, there have been reports of harassment of Ugandans by the authorities in South Sudan. Ugandan ‘traders’ and other migrants have on several occasions reported how South Sudan police and the army harass them. When the Republic of South Sudan was curved out of the north and declared independent in 2011, let’s first analyse what is going on in Kampala. Ugandans simply do not seem to look beyond a kiosk, a boda-boda, or vending food and Chinese counterfeits. Great talents and energy are being wasted away in petty activities. The so-called private sector in Uganda is concentrated in small, diminutive and petty informal activities. Most of the serious businesses are in the hands of foreign investors. 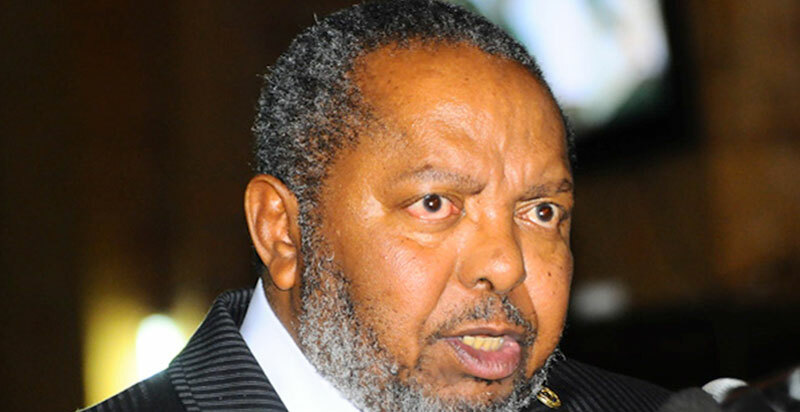 Ugandans seem to have got a raw deal in the so-called private-sector led economic framework and liberalisation policy. But why? Why did Ugandans fail to take advantage of these Washington Consensus policies? It all goes to the structural set up of Ugandan society. According to latest household surveys curried out by the Uganda Bureau of Statistics (UBOS), 95% of Ugandan businesses are sole proprietorships. I have heard some people celebrating this as sign of high level of entrepreneurship among Ugandans. Alas, I think otherwise. In my view this is one of the root causes of the economic tragedy that befell Uganda — low levels of productivity, high rates of failure of businesses, and low tax to GDP ratio (13% compared to 21% for Sub-Saharan Africa). Ugandans are extremely individualistic and thus small thinkers. Even couples cannot partner in business! It’s not surprising to find a couple engaging in a similar business separately — husband and wife owning separate kiosks selling similar commodities. Or finding four brothers, each owing a boda boda! If Ugandans pooled resources and formed partnerships they would enjoy economies of scale and earn more revenue and profits since they would reduce competition between and among themselves. They also would have been able to bid for the government parastatals that ended up in the hands of foreigners. In Kampala, I reside in one of the fastest growing middle-class parts of Kampala. When Kenyans arrived here to engage in retail trade, they opened up a store in this area selling all sorts of general merchandise that a middle class populace would want to buy. Of course they attracted most of us away from the several kiosks that used to supply the area. However, three years down the road it has not yet dawned to the vendors in this area that unless they adapt to the competition before them, they are bound to lose their market share to the Kenyan store. If these kiosks pooled their capital and stock they would create even a bigger store than the Kenyan one. Of course they cannot; it will always remain an “if”. Ugandans are simply kiosk-minded! The fastest growing sector in Uganda is the urban informal sector. This is a loose amalgam of vendors, hawkers, boda boda riders, shoe shiners, professional beggars, domestic servants (maids and shamba boys) etc. Many of those who ply their trade in the informal sector are youth without any employable skills. However, some are educated young men and women who hold lottery tickets that did not win in the narrow urban formal job market. This is where your government, Mr President, shares the blame. True, countries begin as dual economies (co-existence of traditional (informal) and modern (formal) sectors) as pioneered by Arthur Lewis way back in 1954. However, your government Mr. President has failed to guide this dualism. When you decided to liberalize the economy, beginning in 1987, you completely and irresponsibly absconded from the canon duty of the state to regulate the markets. Mr President, it is your government that must accelerate the rate of absorption of young Ugandans into the formal urban sector. This can be done; all countries with serious governments devise means of doing exactly that. How? First by offering incumbent businesses with various setup incentives such as subsidization of the interest rates on loans and subsidization of costs on utilities that firms in Kampala and other towns incur. This is a viable policies which countries even here in Africa such as Kenya, Ghana, and Zambia are doing with very minimal “soak-up effect” — increasing migration of labour in response to the better job conditions availed. There is need to reduce urban congestion by building more and wider roads, subways, and modern markets in and around Kampala. Government need to adopt a policy of rewarding employers for every additional worker they hire. This can be pulled off by offering a cash subsidy as part of wage for every extra worker hired by a firm in the formal sector. Mr. President, I know your concern on these suggestions would be: where would government get the money to offer such subsidies? Worry not. Countries such as India have shown that the subsidy policy may entirely be self-financing. Simply impose a profit tax on businesses and return the proceeds as wage subsidies to those that employ more Ugandans. This trick will compel businesses to expand employment because if they don’t, they miss the subsidy yet they have to pay a profit tax. In the end those that do not heed to the policy end up paying a net tax while those that expand employment get a net subsidy. Mr. President, because of lack of an industrial policy, your government has also left Ugandans unguided in resource investments. Ugandans with capacity to engage in large scale manufacturing and agro-processing are investing in non-tradables (items that cannot be traded across the borders), mainly real estate (speculating on land and building residential houses and rentals), shopping malls, office space etc). The fastest growing sector in Uganda is construction. The downside of construction is that it is non-tradable. You cannot export a shopping mall or the large tracts of land Ugandan ‘investors’ sink in colossal sums of money. So the economy does not earn the badly needed foreign exchange (the dollar) – badly needed to import the construction materials used to build the shopping malls, palatial residential houses, and office buildings mushrooming around the country at terrific speed. As a result the shilling has rapidly depreciated against foreign currencies especially the dollar since we do not export yet imports are rising. The situation is worsened by our so-called “investors” being allowed to price their malls, office space, and houses in dollars! Imagine where Uganda would be had our ‘investors’ turned all those malls and commercial buildings into factories engaging in agro-processing for export, and manufacturing of some of the commodities that we are importing (ranging from toothpicks, candle wax, toilet rolls, mango juice, textiles, footwear, before even thing about the more sophisticated ones such as cellphones, computers, radio, television and cars). Mr. President, you cannot transform a country of boda-boda riders, food vendors, kiosks, hawkers of Chinese counterfeits, musicians, and bar owners. Majority Ugandans are kiosk-minded because your government lacks an industrial policy first to provide indigenous Ugandans with pro-business incentives, and secondly to guide those with capacity to invest in tradable sectors. Factories and farms, not shopping malls will develop Uganda.